The brachial plexus is a collection of many nerves that arises in the neck and is the main nerve supply to the shoulder, arm and hand. One of the branches, the suprascapular nerve supplies two of the muscles of the rotator cuff, the supraspinatus and infraspinatus. The nerve has a rather complicated route, passing through a notch in the shoulder blade. The notch is made into a tunnel by a ligament which runs across the top of the notch. The space available for nerve in the tunnel is usually enough but for several reasons, the nerve can become damaged at the notch. The nerve can be affected by a cyst from the labrum of the shoulder joint or the nerve itself can swell up. Other reasons can be that the nerve is injury by repetitive trauma or become stretched as part of a rotator cuff tear. One of the main symptoms is pain and this is generally located across the upper part of the back of the shoulder. Weakness of the muscles supplied by the nerve (supraspinatus and infraspinatus) may be a symptom since if the muscle is not being stimulated to contract, the fibres will start to fade away. It is important to determine the cause for the nerve compression and this may be done with a scan or EMG studies (electromyograghy). 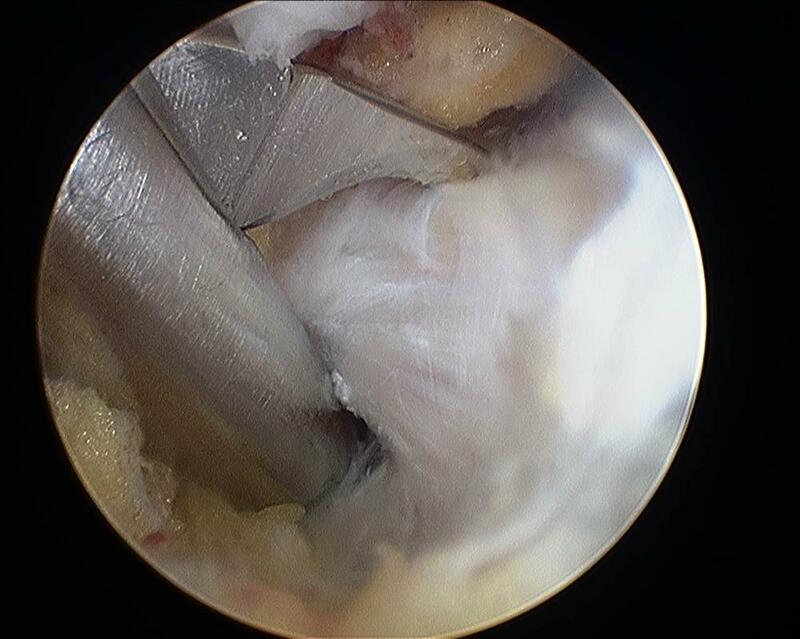 If release of the ligament is necessary, this can be done arthroscopically (keyhole surgery). The nerve cannot be repaired by surgery but the pressure can be released.